LiveRez commissioned local artist Delia Dante of Fire Fusion Studio to create one-of-a-kind medallions to give to partners as gifts at the 2014 LiveRez Partner Conference. Monday night at the 2014 LiveRez Partner Conference, we were thrilled to present our partners in attendance with one-of-a-kind copper medallions from local artist Delia Dante of Fire Fusion Studio in Boise, ID. Dante made all of the medallions by hand, starting with a solid sheet of copper. Each medallion went through a multi-stage process of refinement until the beautiful finished product was complete. 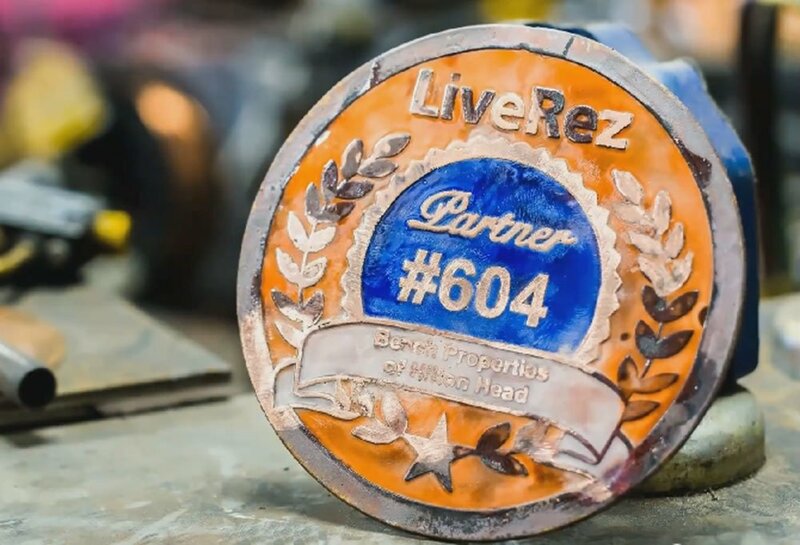 Each medallion was customized to the partner, with a unique partner number which represents how long they have been using LiveRez. Dante further customized each medallion with colors from the partner’s website and branding. The finished products were beautiful, unique pieces of art that will now make their way from Boise all across the United States and abroad. These gorgeous partner gifts were given out at LiveRez’s Monday evening reception to honor LiveRez partners. The event was hosted in downtown Boise at the top floor of the Zions Bank Building – the largest building in all of Idaho. 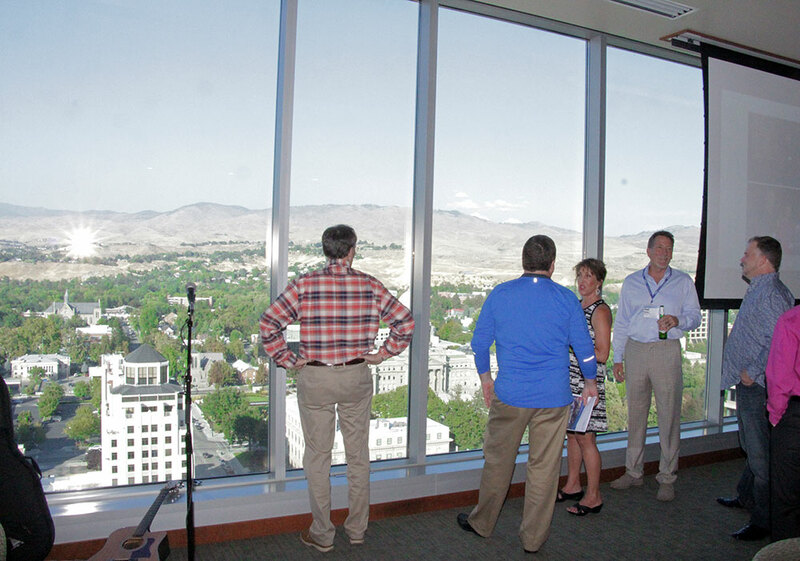 The Monday evening reception was held at the top floor of Zions Bank Building, the largest building in all of Idaho. To learn more about the partner gifts and go behind the scenes of how they were created, check out the video below.